When someone does ask me this question, it makes me smile. I ask them almost instantly, 'why do you want to become a Reiki Master?' I am eager to know their answer. Sometimes people have wired misconceptions about the purpose, process and outcomes of Reiki Master Degree. If you have been following this Reiki blog you must be aware that my mission is to spread Reiki. And I want to train as many Reiki Masters as possible so that as a team we can reach more cities and more souls. For this reason I always encourage everyone to learn and spread Reiki in every way possible. For those who want to become a Reiki Master I would like to explain the requirements and the responsibilities of being a Reiki Master. Joy, peace and spiritual growth that awaits on this journey. Sometimes people who have not even done Reiki level 1 express their interest in teaching Reiki. Some of these people also seem to be in some kind of race. They feel they have to complete and be done with all the levels of Reiki. I suggest them not to rush. I tell them to complete Reiki level 1 and find out how they feel about it. Then I tell them to progress to Reiki second degree and after enough practice when they are also completed Reiki 3rd degree they can start to consider if teaching Reiki is something they really want to dedicate their life to or not. Becoming a Reiki Master requires you to practice Reiki on yourself and give Reiki to a variety of people. These experiences make you rich spiritually so that you can pass on the valuable lessons you learned to your students. When you have walked on the path and you have had a rich experience you can guide others better. 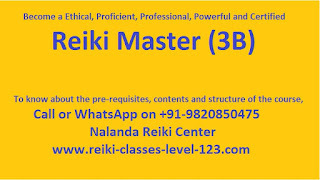 Reiki Master Teacher level is also known as Reiki Level 3B. For learning this level you must complete Reiki level 1, 2 and 3A with enough practice between the 3 levels. This is not a competition. You don't have to do it overnight. 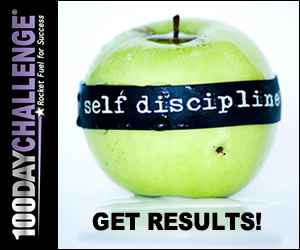 You have to restore the balance of your body, mind and emotions. You have to have experiences of healing others and resolving various issues. This rich experience becomes the foundation that will make you a Reiki Master who can contribute to others meaningfully. Becoming a Reiki Master not only gives you the opportunity to transform others but also to expand your own transformation. When you give others you get many folds in return. Growth and transformation is the purpose of life and the universe. As a Reiki Master your life is about others. You are responsible for training and developing Reiki practitioners and support them in achieving the outcomes they are committed to. Besides having the experience in giving Reiki to yourself and others you will be required to selflessly give your time and effort in service to humanity. Before accepting a student for Reiki Master Teacher level I ask them a few questions to understand them and their understanding of Reiki, especially if they have not taken 1 or more levels from me. I want to ensure that we have good rapport and the student has made a decision after understanding the responsibilities of being a Reiki Master. I also ask them to meditate on their life purpose to get a feeling if this path is in harmony with their life purpose. With daily Reiki practice your true path, the plan for your life, your spiritual purpose is revealed to you. I take these things seriously because training someone to be a Reiki Master is a long term commitment and I need to provide support long after the training is complete. Its a life long relationship. After the Reiki Master Attunement you require significant practice in teaching Reiki to others and practicing passing attunement to students. More than other Reiki courses, Reiki Master course has significant higher level of theoretical as well as practical training. During this process participants also experience dramatic changes in their life and their journey of self discovery takes on a new speed. The cost of Reiki Master Certification was around US$10,000 in the past, but now in most countries it is much less. There is a variation in the duration, contents and cost of Reiki Master Degree Courses across the world. After Reiki Master level training you will receive a copy of all the Reiki Manuals and other materials from your Reiki teacher. You should be able to comfortably deliver Reiki courses in the supervision of your Reiki Teacher and receive an approval to teach Reiki courses independently. Depending their level of confidence different students require varying levels of hand-holding when they begin teaching their own Reiki class. I empower all my students to free, independent and powerful Reiki Master. I encourage them to give Reiki and Reiki information freely to others. Trusting the abundant nature of the Universe I train them to give their best to others and be blessed by the Universe with love, peace, joy and abundance! I am a life long learner and I urge my students to be a life long learner of Reiki and of life. Some students take the Reiki Master Course to improve their healing abilities and to teach Reiki only to close family and friends as and when required. If this is your intention the Reiki Master level attunement and training can be very helpful in fulfilling your intention. In this case you may not require very long period of practice for perfection. Once you complete your training, until you teach Reiki to at least 1 student you are known as Reiki Master Practitioner and once you accept a student you become a Reiki Master. If you want to teach Reiki professionally, to students seeking Reiki training, you must be able to initiate students and pass on the ability to channel Reiki energy in others even more effectively. You should be able to teach Reiki courses, making sure the students understand and practice Reiki as it is meant to be done. During your Reiki Master teacher training you will be given various assignments to develop your skills and expand your personal transformation. You must ask for feedback after each assignment and incorporate the feedback to become the best Reiki Master that you can be. Students who have Reiki first, second and third degree from me are familiar with the topics, talks and meditations I do in my class. With others I need to work more so that they can practice until they are confident in delivering the class. 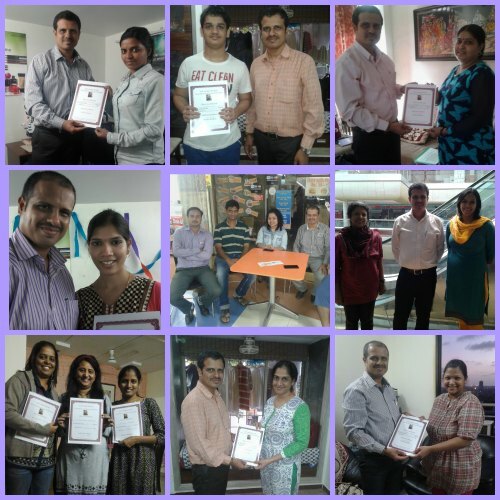 The Reiki Master Teacher Course is very dynamic and gives you a very enriching experience. You will experience rapid personal growth as life unfolds the mysteries of the universe in front of your eyes. This is the beginning of a new phase in your journey with Reiki. As you express your sincere desire to help others, you will find students who sincerely want to learn Reiki getting attracted to you. You will be deeply satisfied when you see your students learning Reiki, experiencing Reiki attunement for the first time and then getting results from their Reiki practice. Welcome to this new world, experience the joy of giving the gift of Reiki to others and expanding the feeling of oneness, compassion and love on this planet! About the Author: Sachin is a Reiki Master in Mumbai. His mission is to spread the teachings of Reiki through his blog, courses and students who have taken Reiki Master degree. He is committed to spreading Rei‍‌‪‭‬ ki all over the world to create health, wealth and happiness for everyone. 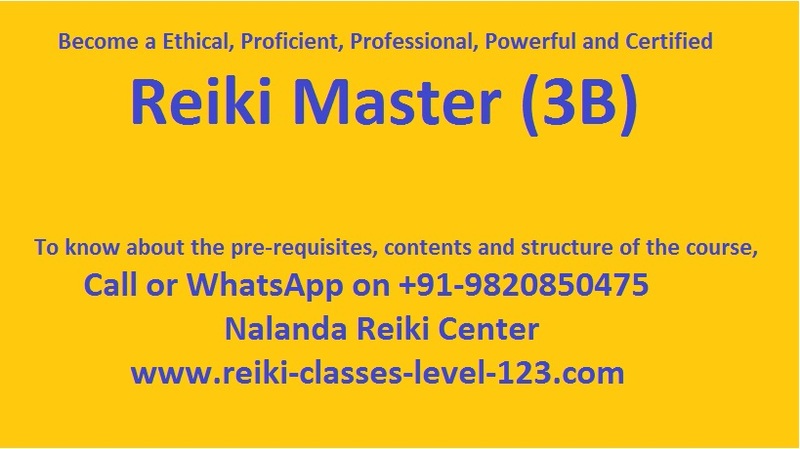 To take Reiki Master Teacher Training you can contact Sachin on +91 9820850475. He conducts Reiki Training for individuals, groups or companies.